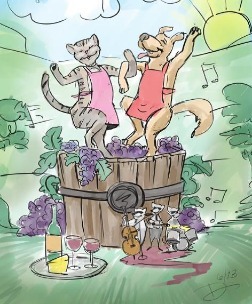 We will not be doing our Paws In The Vineyard event this year. We thank everyone for their support. We encourage you to attend Laughing Dogz Photography's Fall Pawtacular event which is happening the on Saturday, October 20 from 10 am to 4 pm and also benefits our organization. Vendors are needed. For more information about the Fall Pawtacular, go to the Facebook event page!